To meet current complex social needs, organizations must able to adapt and remain flexible while identifying new strategies to make continual progress toward achieving their missions. This requires proper strategic planning of infrastructure and capacity building. All too often, non-profit organizations hyper-focus on their one main revenue stream – program funding. 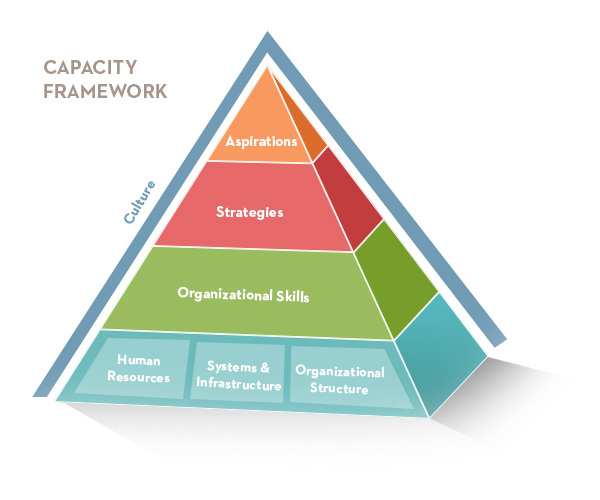 In order to increase and maximize organizational effectiveness to achieve goals and mission, non-profits need to address capital, capacity and other important revenue streams in addition to funding for programs. Simply put, succession planning is about developing leaders from within one’s own organization. It ensures that the right people, with the right skills are in the right place, and that these people are engaged and focused on the necessary activities to achieve positive results. Succession planning is also about nurturing people to maximize their potential and create a workplace that will be well positioned to face whatever challenges lie ahead. Succession Plans are of the utmost importance in today’s workplace. Demographic shifts, globalization, emerging communication, technologies and economic uncertainty have significantly changed the playing field of the workforce and subsequently altered what is required of its leaders. Those organizations, large and small, that have not engaged in thoughtful succession planning are at risk.